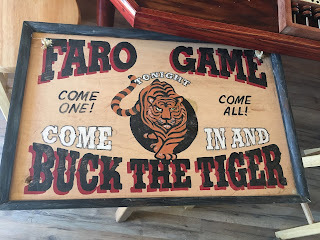 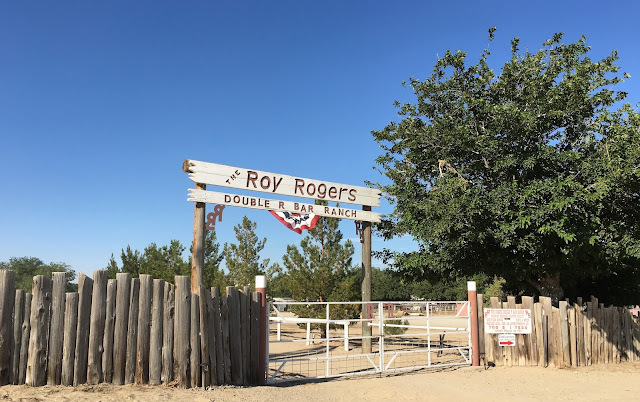 A rare opportunity presented itself when I got an invitation to attend an open house at the Roy Rogers Ranch in Oro Grande, California, near Victorville. This isn't where Roy Rogers & Dale Evans lived when they raised their many children. 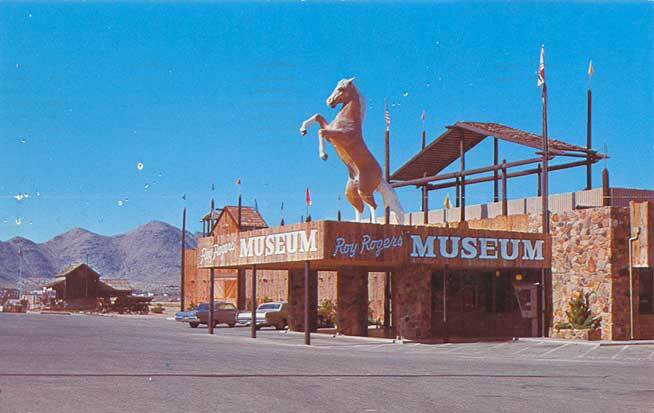 Roy used this place for his manly activities when Dale was done with ranching and wanted to live in town. 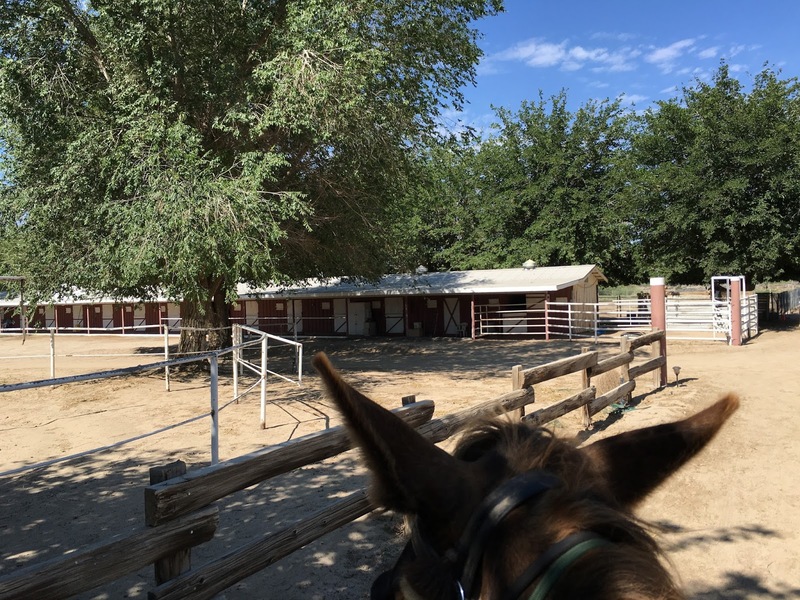 So plenty of tales are told of gatherings of the Western movie elite here, ..... if only barns could talk! 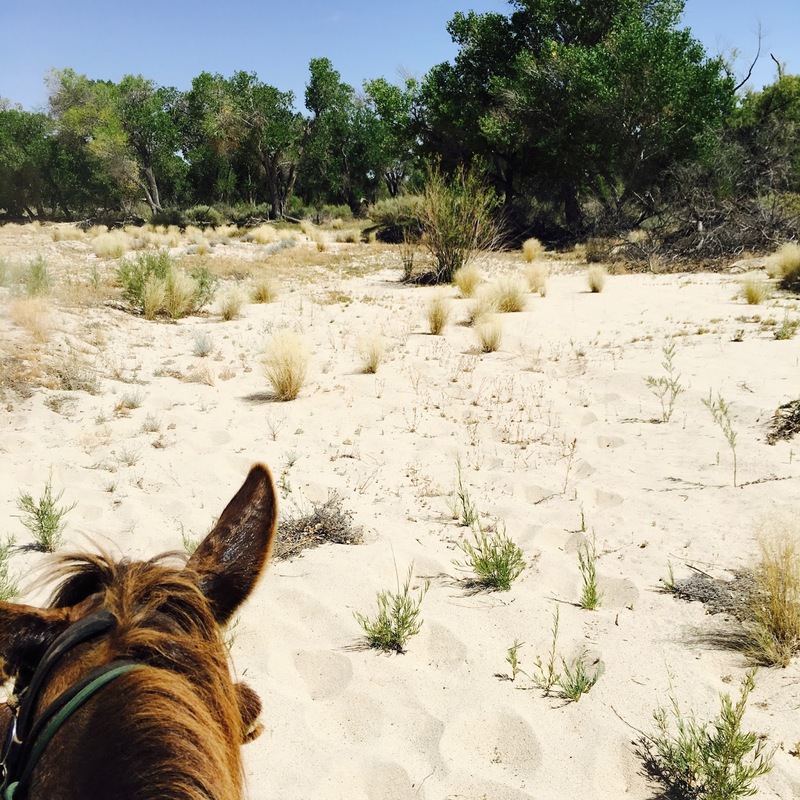 A dozen of the attendees took a mounted stroll out to the Mojave River, the one sliver of life in this arid desert. 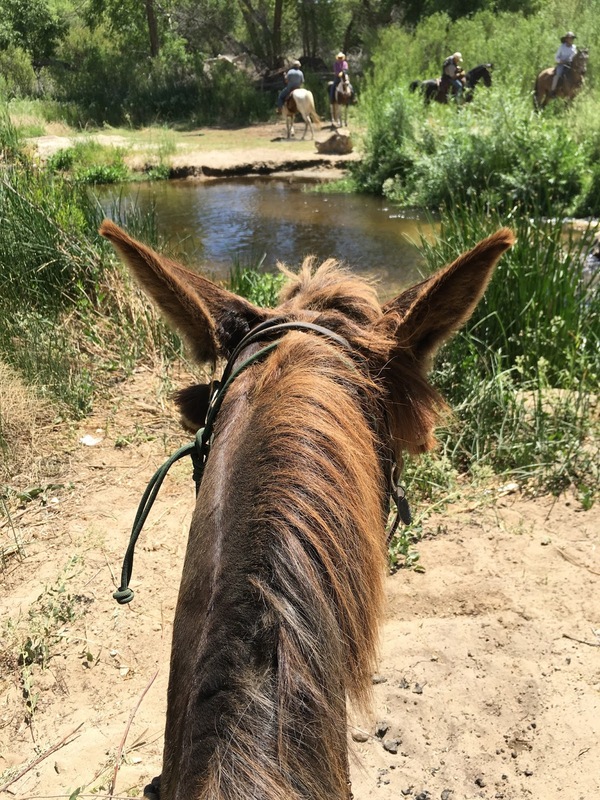 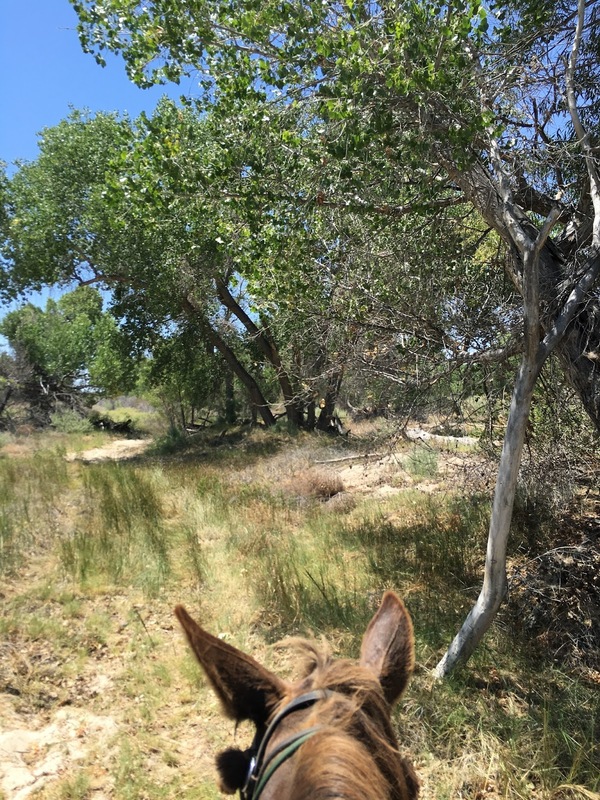 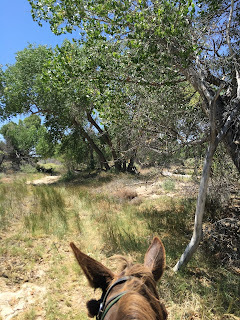 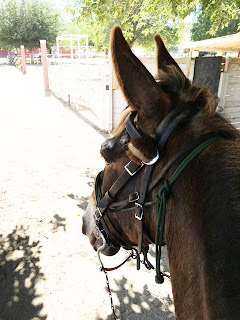 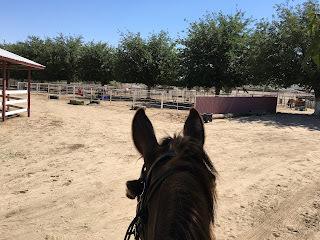 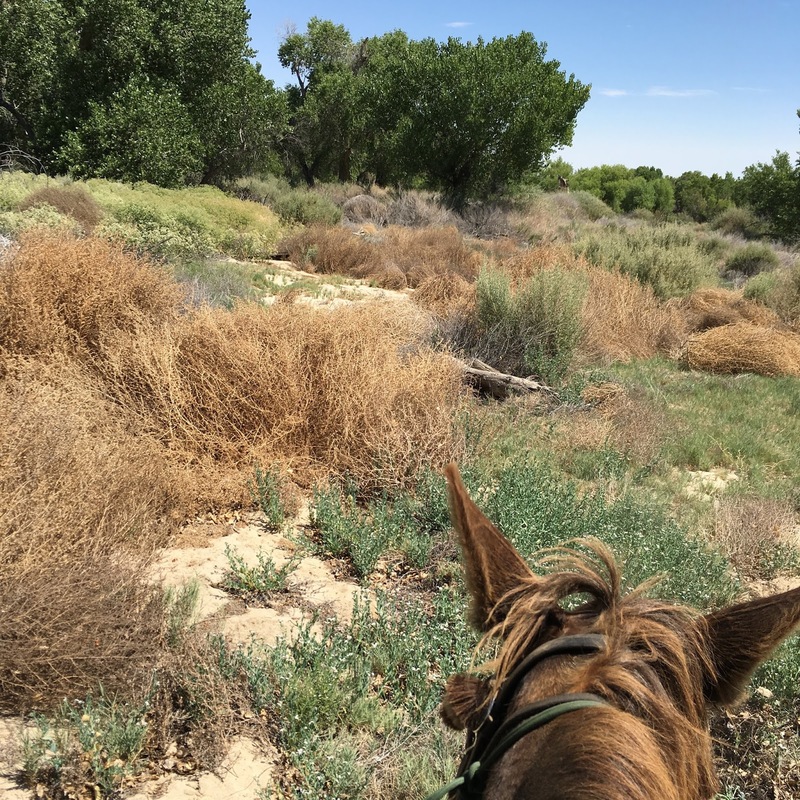 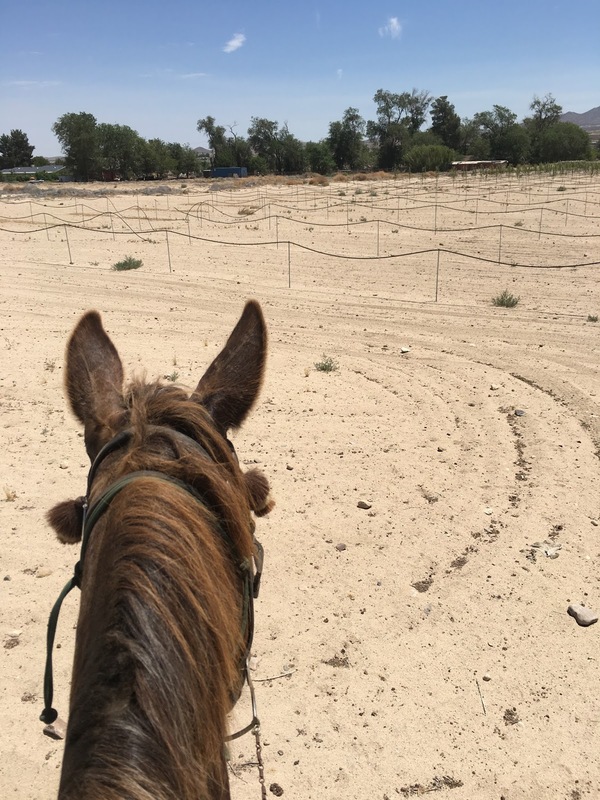 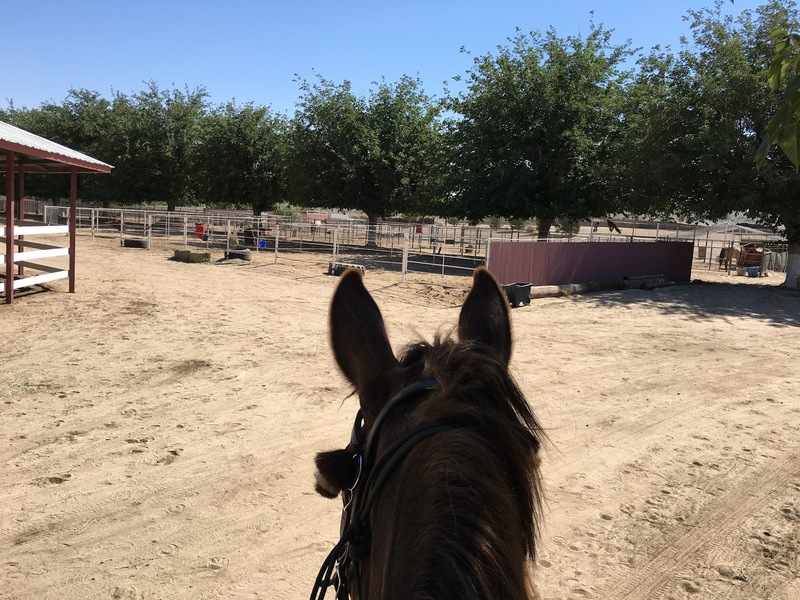 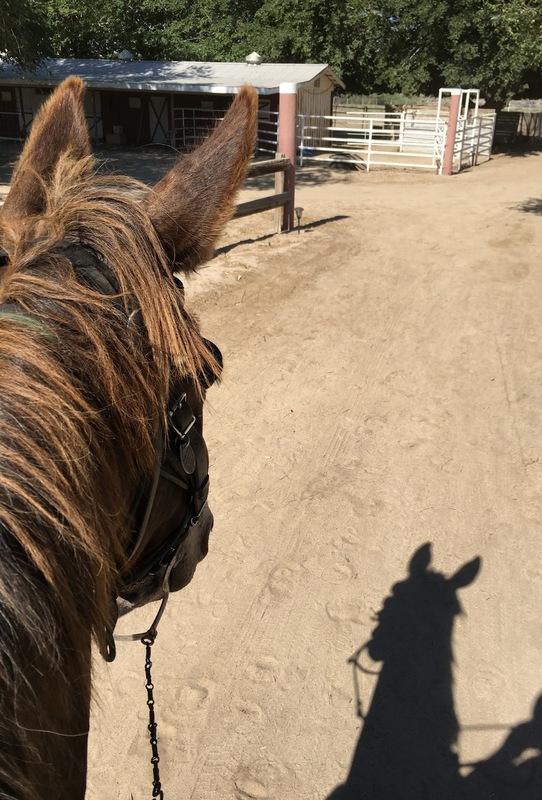 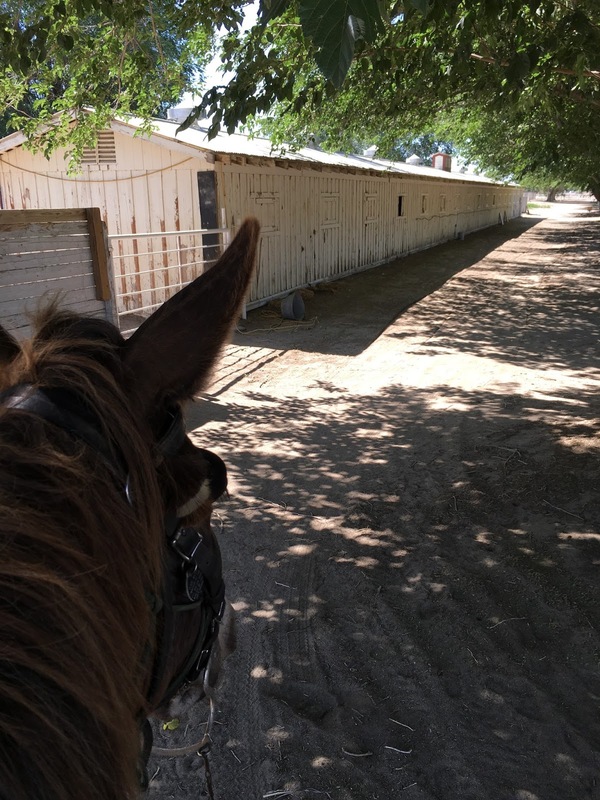 It was 108º and climbing, but I came to ride, and they always say mules can take the heat better than horses, so Tobe and I went for a walk. 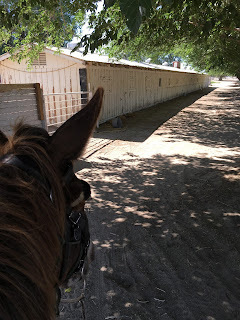 We did 4.5 miles in 90 minutes, and the heat made it seem like a MUCH longer ride. The original barn is the focal point of the Double R Bar Ranch, and was converted for this event to a place where two micro-brewers set up to give out tastes of their unique ales. 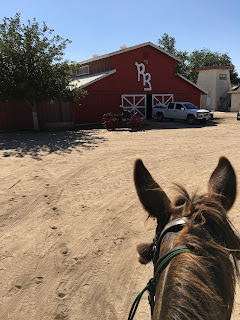 There were lots of folks around dressed up as Civil War era reenactors, and they were fussing with their horses and their tents and GUNS. 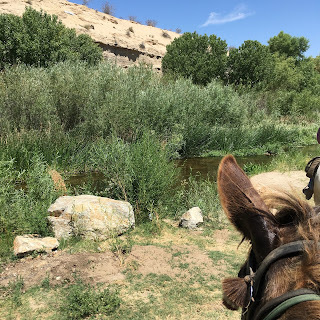 Not that Tobe is scared of guns, but I was wary of them, so we struck out to see the ranch property. 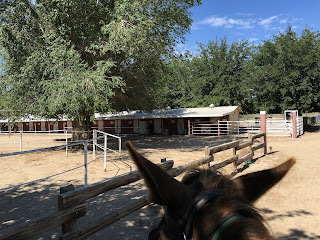 Tobe and I snuck around, looking at the horse barns and other facilities, which we were told not to do but heck, we played dumb and whoops, got lost again and kept checking everything out. 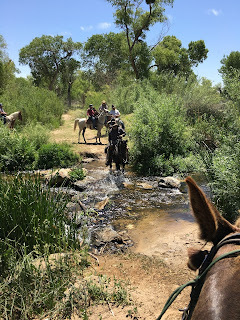 It was white-hot, and eventually we just waited in the shade of a tree for the group to get organized and ride out. Finally we walked out into the desert, blasted by the temperature, walking through a gravel filled wash leading up to the Mojave River. 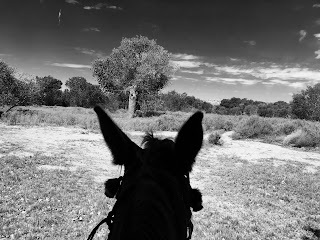 Even my poor little iPhone that usually hangs happily around my neck was blinking on and off, telling me it was too hot. Previously I had only ever encountered that when I accidentally left it in the sun in a hot car. It is one thing to drive through a desert landscape, and quite another to travel across it at the 2-3mph speed of a mule. 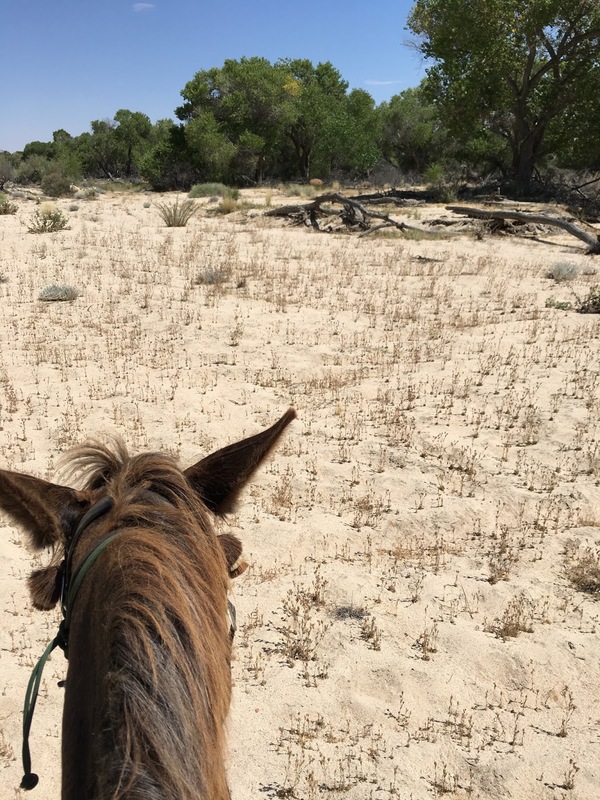 Can't help but think about the bravery and tenacity of the pioneers who came West to settle America and crossed the massive deserts of the SouthWest. The river bottom was pure sand with tiny bunch grasses, and it was definitely preferable to be at the front of the moving group, lest the alkali dust rising in clouds choke human and beast. 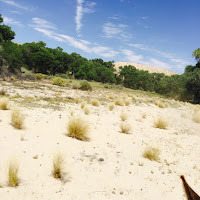 We crossed a zone that was like a tumbleweed farm, humps and hillocks of it everywhere. 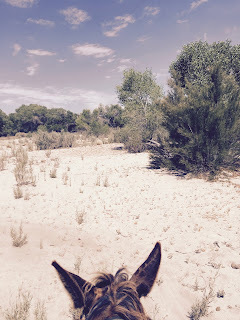 Then finally the scent changed, and the humidity, and we could sense we were near water. Tobe was not willing to be the first to step into the water, he let the horses take that risk, but once he saw that it was only a foot deep he went eagerly forward and drank 5 gallons in one long guzzle. 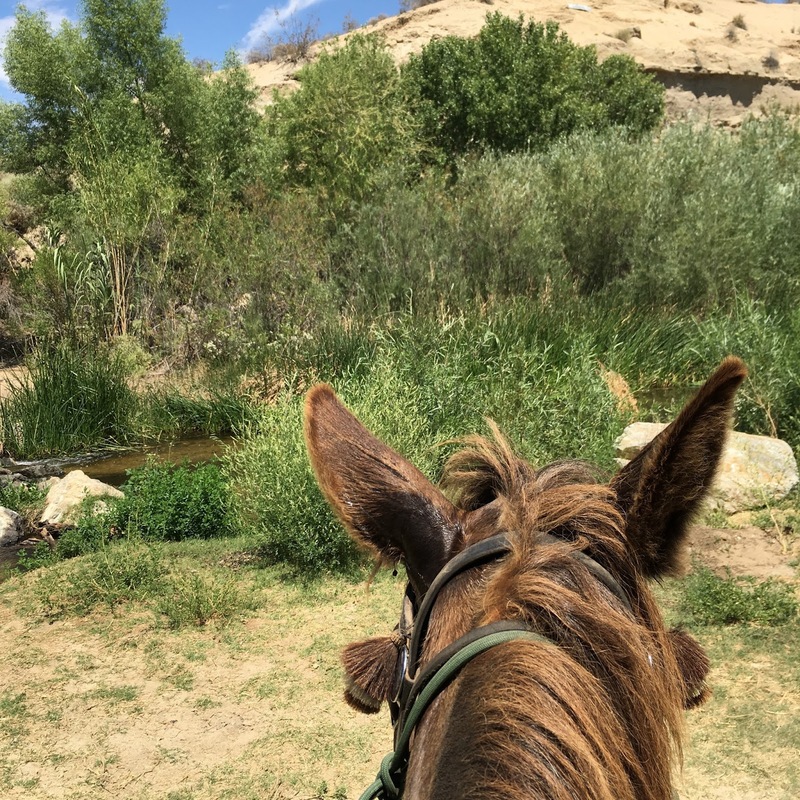 One of the horse riders fell off into the river, but no injury. Where Tobe takes a slow and steady pace, and balks to a stop when worried, we often watch horses panic when concerned for their safety, and sometimes they come to grief when they try, as this one did, to run and rush through an obstacle. After that moist interlude we headed back towards the ranch. We passed a large field being planted to apples, with drip line irrigation strung out in the sand. It is a brave orchardist who can make this desert grow anything. 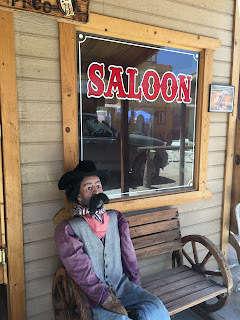 Tobe went back to his guest accommodations while I went to check out the entertainment, and taste some ale. 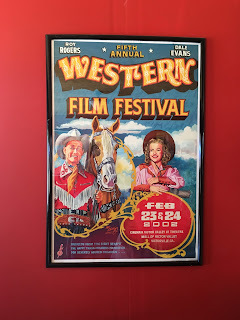 The walls were filled with posters for various film festivals held in the local area. 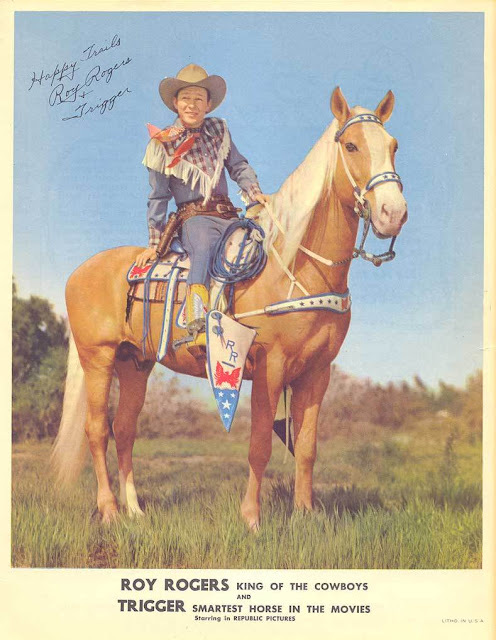 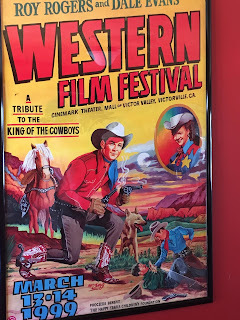 and here is a tear-jerker song tribute to Roy's horse Trigger, "The Day that Trigger Died"
The wonderful museum that used to be in nearby Victorville collected many artifacts of Roy Rogers' long film career. 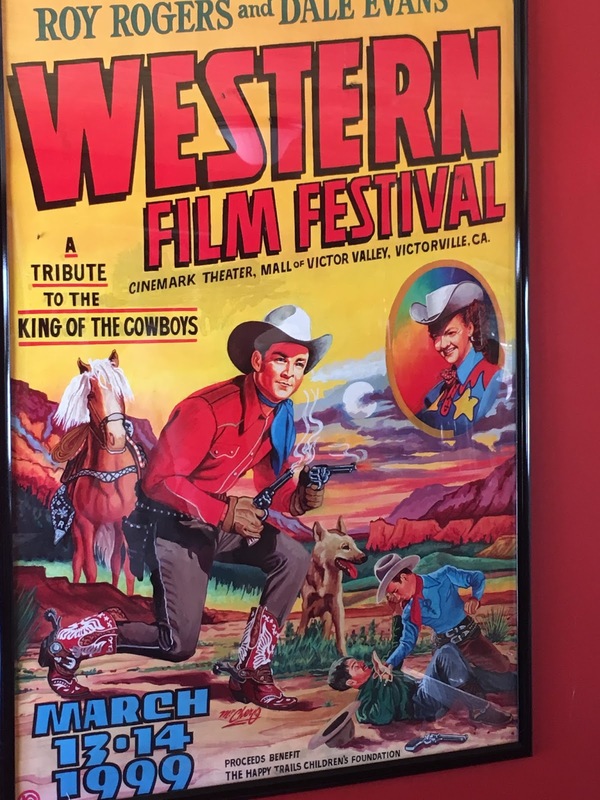 He made 188 films with Trigger, and changed the way American kids thought about the values and morals by which they were going to live their lives. 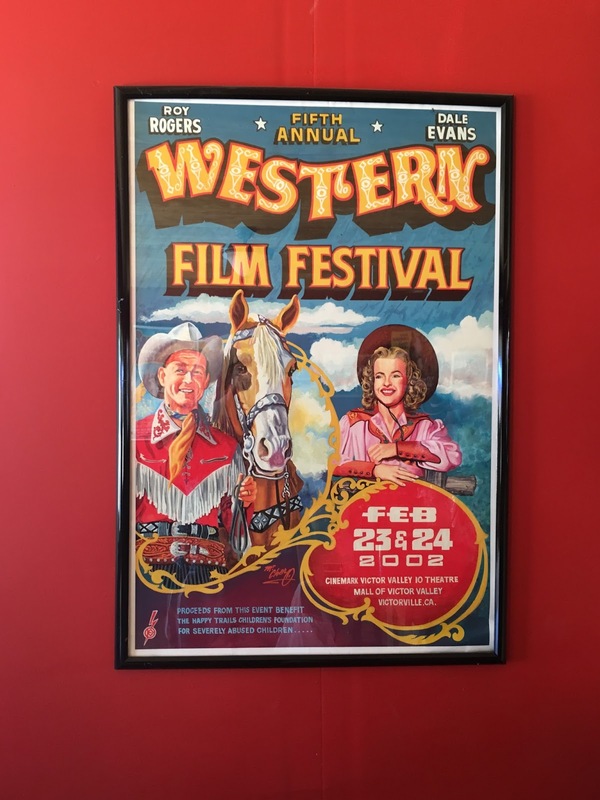 The museum was closed in 2012, and moved to Branson, MO, then was broken up and the contents sold off. 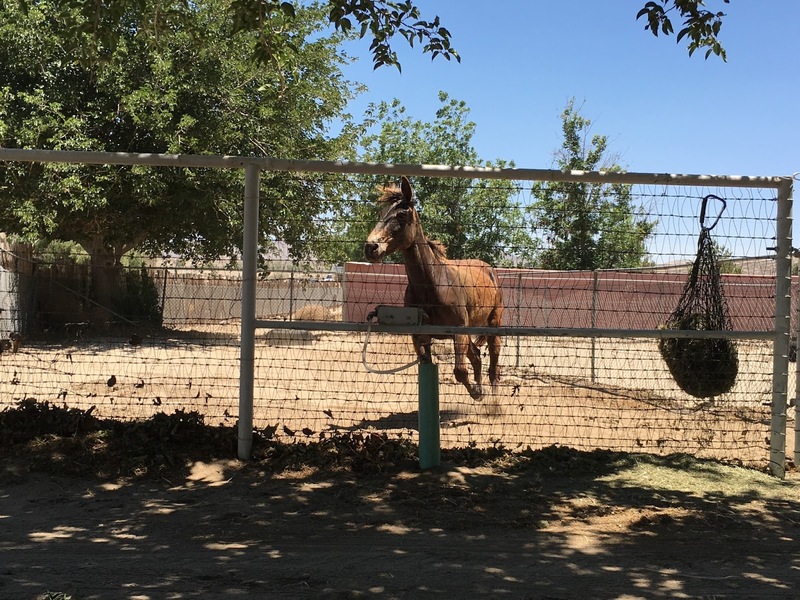 The mighty golden palomino stallion who once loomed large in the dreams of a generation is long gone.